Silver plated copper snake chain. Snap clasp. 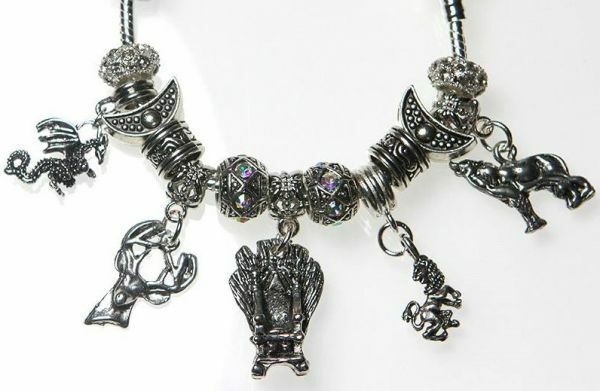 Zinc alloy, pewter and acrylic charms / beads.